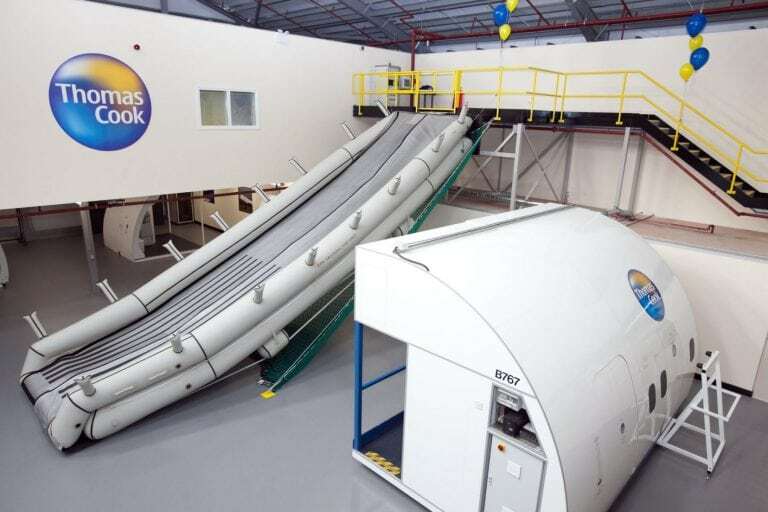 Recently I was fortunate enough to spend some time at Thomas Cook’s flight training centre in south Manchester. The purpose of the visit was twofold; to catch up with a friend of mine, Captain Clive Richardson who is the General Manager for Training at Thomas Cook UK and to take the rare opportunity to observe at first hand two new Captains being put through their paces on a topic known as ‘Intervention Strategy’. This is a vital piece of training that any senior aviator must undergo to equip them to handle and take control in situations which may be beyond the ability of less experienced colleagues. The modern commercial aircraft has so many systems and redundancies that actually make flying a safer experience than crossing the road and the industry has gained this status because every time we have an incident we take the learnings and do something with them to improve the overall standard – that could be a technical change delivered by the OEM or a change to the training curriculum which the airlines and ATO’s will implement. During our session in the Airbus A320 simulator we explored situations where a Captain may wish to instruct their First Officer to operate the aircraft in certain way or in some cases take control in order to ensure the smooth operation of the flight. I should make it quite clear that none of these situations would have resulted in anything more serious than a bumpy landing or perhaps someone finding their dinner in their lap. However they did clearly emphasise to me the investment and training that goes into ensuring the UK has some of the best trained pilots in world in any situation – and in a time where safety and customer satisfaction is paramount, everything the airlines can do to ensure we are delivered to our destination seamlessly and comfortably will undoubtedly have serious commercial benefits for the operators. If we look specifically at safety the positive reality is that incidents and accidents are now so rare, principally due to better training and improvements in the reliability and build quality of aircraft, that previously regular events that pilots were trained to handle many years ago (such as engine shut downs and mechanical failures) have become almost redundant on a modern airliner. Known as Evidence Based Training (EBT), a whole new suite of training solutions designed to give cadets and more experienced pilots the skills to handle situations that arise in the modern cockpit (such as software issues) are now firm elements of any pilots training programme and whilst we should never lose sight of the core competencies of handling the aircraft and learning to fly, EBT is proving critical to making us all safer in the skies. Many of the UK’s airlines have embraced this way of thinking and every day the industry advances a step further as we integrate new techniques and approaches into the commercial pilots training curriculum. With this in mind all of us can be assured whatever carrier you chose to fly with the team at the front will take care of you every step of the way! Many thanks to Captain Clive Richardson and his team for their insight and hospitality on the day!